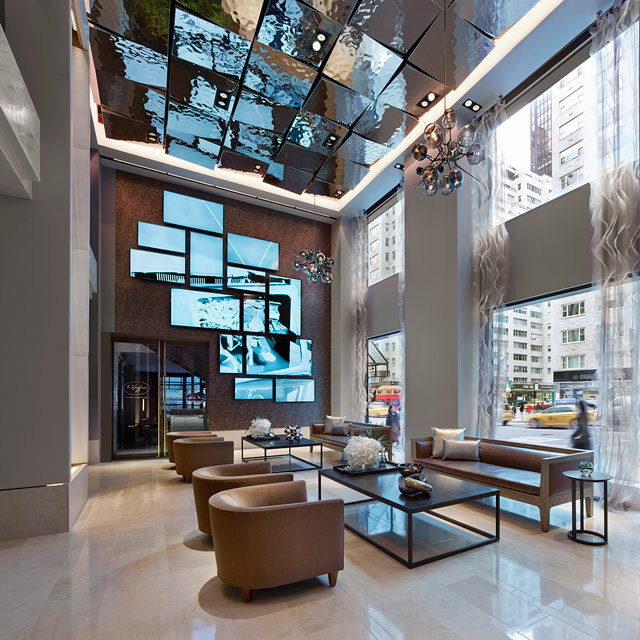 The Quin Hotel opened in November 2013 and is located in New York City near Central Park, on the corner of 57th Street and 6th Avenue. 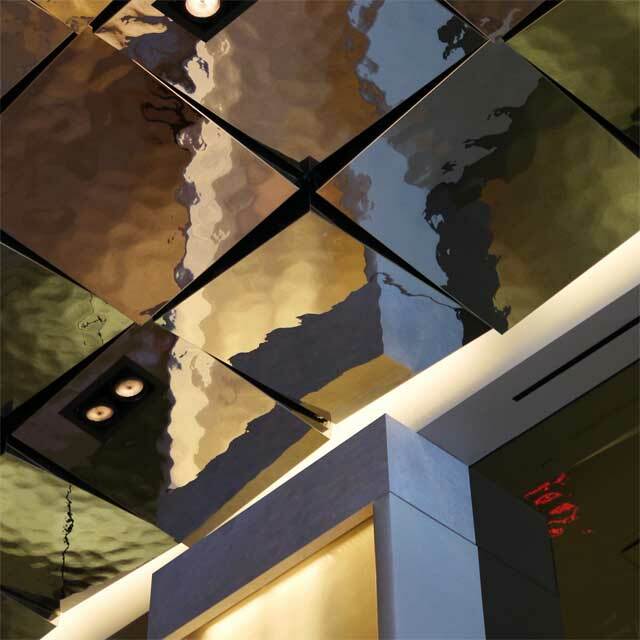 For the ceiling of the hotel lobby Perkins Eastman selected three dimensional shaped panels made out of Product Line EXYD-M.
EXYD manufactured ready-to-mount panels in Germany and shipped them to the US by air cargo. 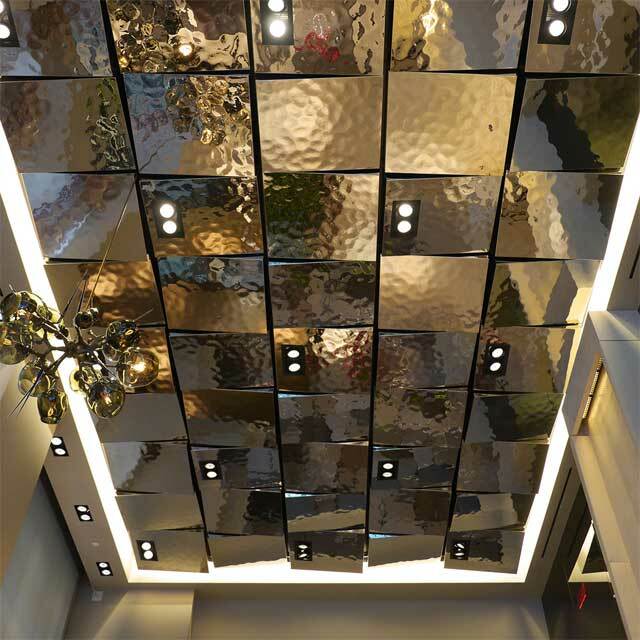 The ceiling panels are made out of uncolored stain­less steel – never­theless the panels adopt the color of the reflected objects. Above: Lobby of The Quin. Below: Ceilings panels before shipment. EXYD produced the ceiling panels. The ceiling system was provided by Lindner. 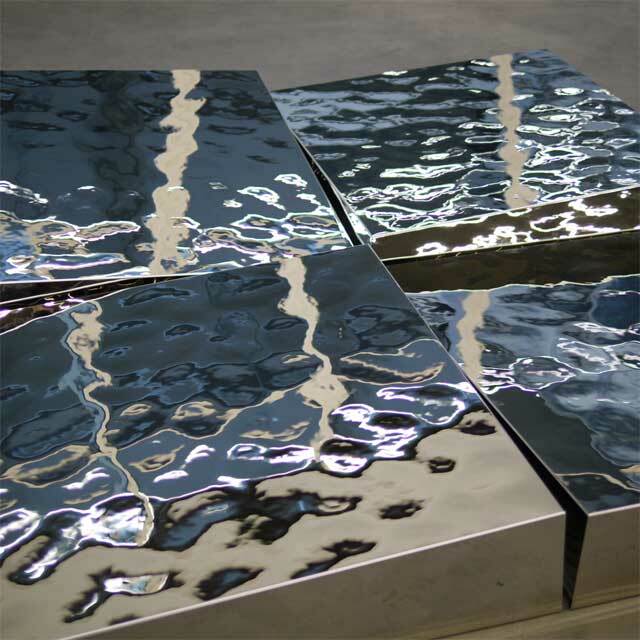 EXYD focuses on surfaces – the products can be adapted for use with existing ceiling and wall systems. 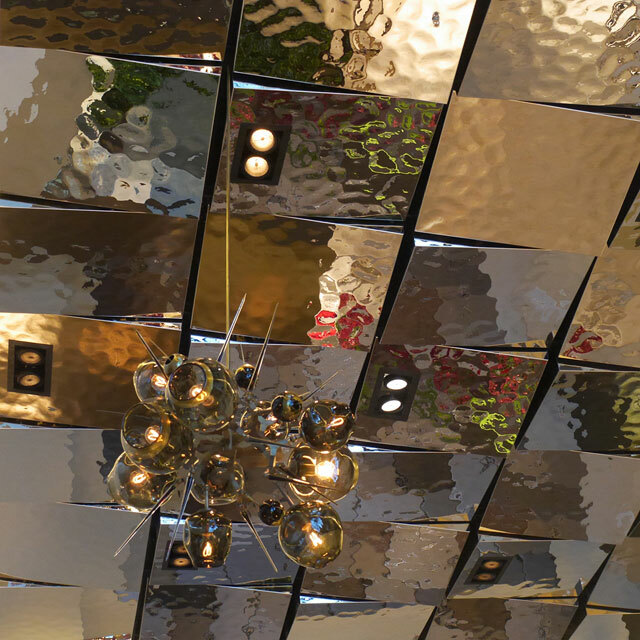 Product Line EXYD-M is available among others as fully integrated component of the ceiling program "Lindner Lunar – Living Ceilings".